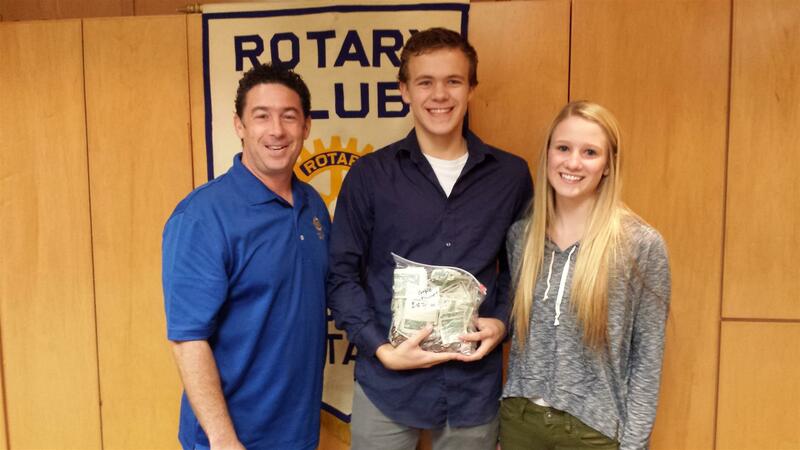 The Davis High Interact Club held a week long fund raiser Oct 20th - 24th and it was a great success! Davis High Interact Club Members volunteered during their lunch each hour each day of the week to help raise funds for the Utah Rotary End Polio Now campaign. 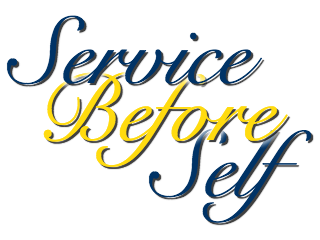 This campaign was part of a larger global campaign by Rotary Clubs, Interact Clubs, and Rotaract Clubs all around the world. Each dollar raised will be matched 2 for 1 by the Bill & Melinda Gates Foundation, so the $483.41 raised by the Davis High Interact will actually result in a $1,450.23 contribution towards the global Rotary End Polio Now campaign. Polio vaccines cost about $0.60 each so the money raised by the Davis High Interact Club will purchase 2417 polio vaccinations. Who says you can't make a difference as a high school student?! 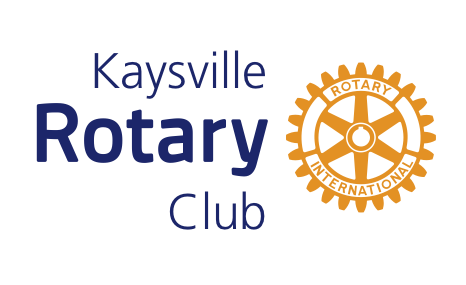 Kaysville Rotary Club President, Chris Bauco, accepted this gift from the Davis High Interact Club at our weekly meeting on Wed Oct 29th. The funds were delivered by Davis High Interact Club President, Ben Shaner, as well as Club Advisor Sheila Okal, and other Interact Club Members. This was the most money ever raised by the Davis High Interact Club for the annual polio campaign. Well done Davis High Interact Club!